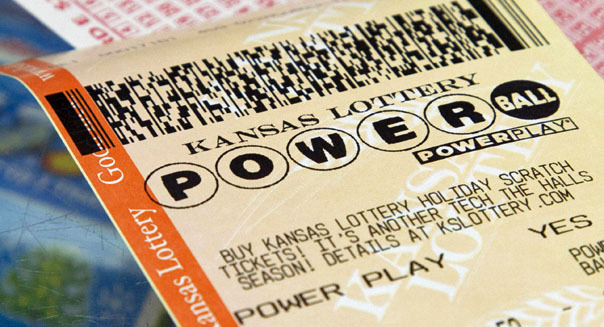 440,321,172 tickets each costing $2 were sold before Saturday’s drawing. That means a massive number of people were “just hoping” they would win that enormous amount of money, and believing it would be great if they did. I have been surprised at the number of Christians who seem to think that way. Consider Paul’s words: “Those who want to get rich fall into temptation and a trap and into many foolish and harmful desires that plunge people into ruin and destruction” (1 Timothy 6:9). Maybe I am missing something. Maybe people who play the lottery are just wanting to have fun. After all, it is called a game. Maybe they just want to “play” and really have no interest in getting rich. Hmm. What do you think? The Bible does not say that money is evil. It says (1) that the love of money is the root of all evil, and (2) that wanting to get rich is perilous. I’m not interested in making a case against buying lottery tickets. People may have a lot of motivations. But I do want to encourage my brothers and sisters to be thoughtful, to “not be conformed to the pattern of this world,” and to be careful what we wish for. Events in our culture can help us examine our hearts. Even in Canada, especially since the U.S. dollar now is worth $1.40 plus Canadian, there was a lot of attention north of the border and many people bought tickets. Don't we already have enough, especially those of us in the "first world"? Do I really "need" to win a lottery and have millions of dollars at my disposal? What am I doing right now with what God has blessed me with right now? That's the question I need to ask myself. Everything I have is God's, not mine. How does he want me to use the many riches I have to his glory and building up of his kingdom?, needs to consume my thoughts, prayers, plans and deeds. And why would God give me more if I'm not using what I have to pursue first his kingdom and righteousness? We are meant to be channels of his blessings, not reservoirs. My goal is to give away, share and to use what God has given me to be a blessing to others. My goal should not be to acquire more for myself. These are my thoughts on "powerball". Thanks Tom, once again, for calling us back to all that really and truly matters. Gambling can be a serious addiction; however, not all gambling is addictive behavior. From an economic perspective, a large amount of money is more useful than a small amount of money; the usefulness of a $100 bill is more than 100 times the usefulness of a $1 bill. Economically, it is not unwise to buy a lottery ticket occasionally, or even regularly. It would be very unwise to spend any significant portion of my income on a lottery ticket. The love of money, valuing money excessively can be consuming; I am sure we all know people who work more than 60 hours a week. Valuing money above God is sin. I find it incredible how discontented people are with what they have, when in North America we are among the wealthiest people to have ever lived on this planet. Due to circumstances beyond my control, I have had to live on a government disability income for several years. Yet, in obedience and faith I continue to tithe and I give whatever I can to those in greater need. God has provided for me abundantly more than I could possibly have imagined! Home repairs and renovations, including a new well to replace one contaminated with e- coli, to the tune of $50,000 over the past 8 years, and more. No lottery ticket required! He is now blessing me abundantly in a business endeavour to get off of disability. The blessings have been so profound that my brother has become a Christian, totally on fire for Jesus!